We advise our VEER TOWERS clients to wear comfy shoes, so they can walk the East and West Towers to determine which view they enjoy the most when looking to buy a condo in CityCenter. 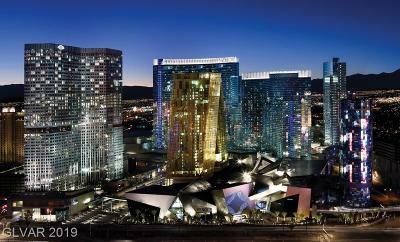 HOA dues at VEER TOWERS are about 80 cents per square foot per month. 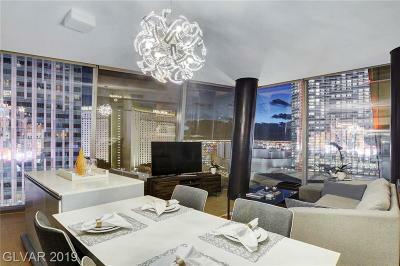 The photo below is a STUNNING Veer West Dual Master 34th Floor 2 BR CORNER UNIT - SOLD By The Stark Team. Property taxes on VEER TOWERS and all high rise condos in CITYCENTER are reduced for the next years because the buildings have LEED GOLD status. The steel panels on VEER TOWERS shown in the photo above have since been removed. VEER residents experienced whistling noises on windy days. 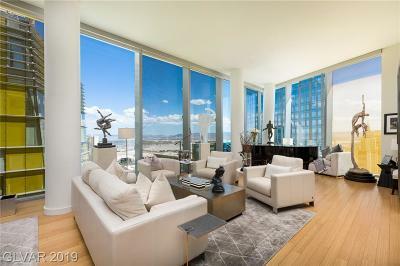 Now that these panels are gone - the VEER TOWERS VIEWS are even more spectacular, and when you are in the corner condos especially, you feel as if you are living in the Sky. 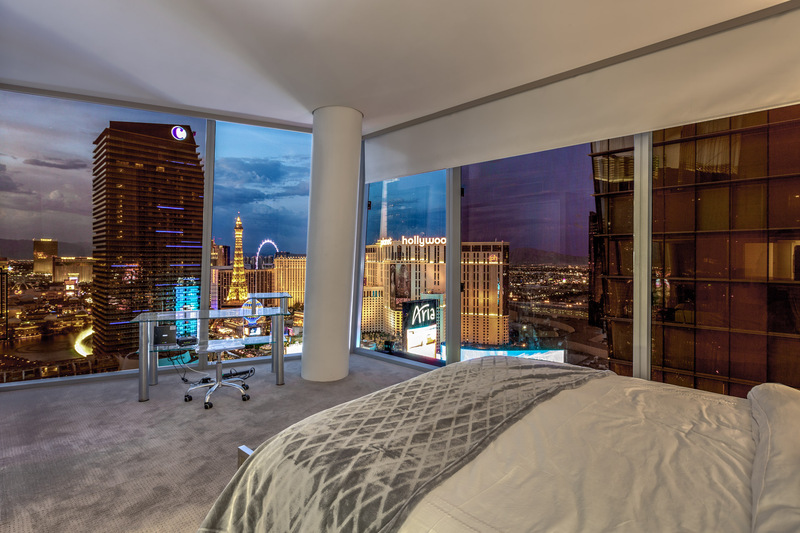 There is a hefty premium for the VEER TOWERS condos that face north and have a peek view of the Bellagio Fountains through the Cosmopolitan Towers East and West space. 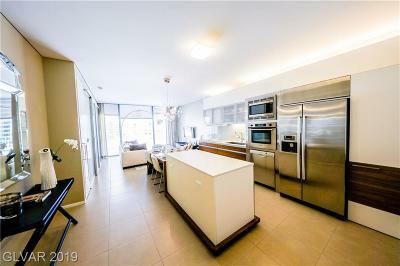 It's always enjoyable to see the fountains dance to the music, it's a view that never gets old, but I must say that the South views from the higher floor corner units is simply ethereal. 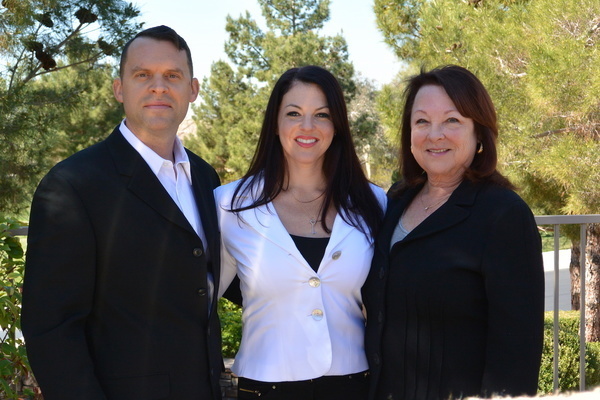 That view corridor is open and heavenly and the mountain ranges of the entire Las Vegas Valley are awe inspiring. 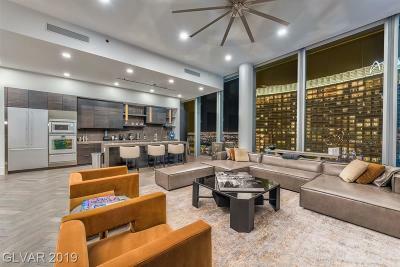 The Stark Team has forged relationships with several interior designers who have helped a number of our clients furnish these high rise condos in a sleek and modern fashion. 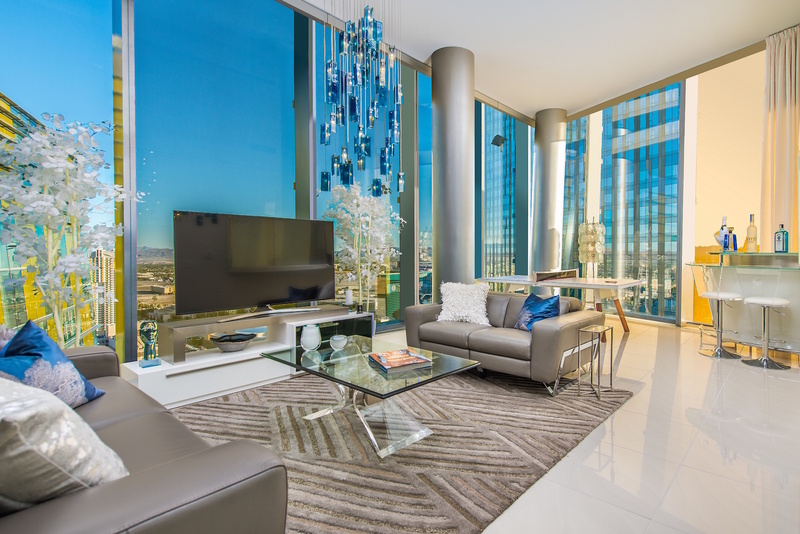 What makes Veer Towers truly unique in addition to its enviable location inside the $9.2 Billion CityCenter project, is that it offers the only 100% residential condominium complex in the heart of Las Vegas on the Strip. VEER Towers is not a Condo/Hotel or blended Hotel with Residences above-type property. 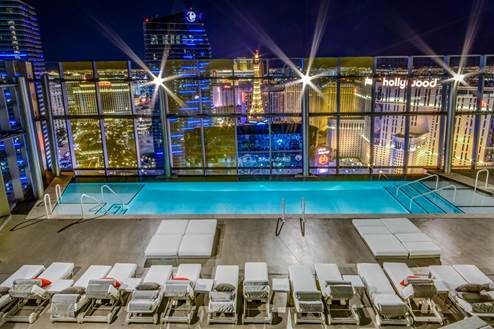 There is no nightly transiency at VEER TOWERS. 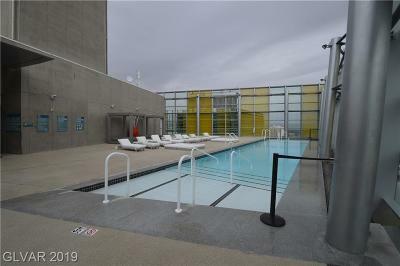 Rentals are permitted, and these VEER TOWERS condos are highly sought after by those looking to lease a Las Vegas condo, but the VEER HOA limits leases to a 6 months minimum time span. Pets are permitted for residents, two per unit, and there is an 80 pound weight limit. 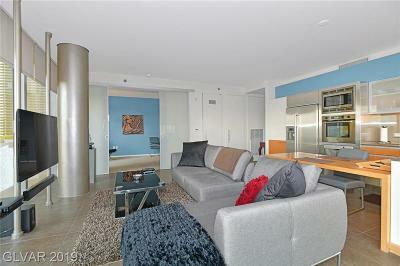 However, VEER TOWERS is the only high rise condo to have the rule that no tenants may have pets. This, in our opinion, is a rule that should be adopted in all high rise condos. 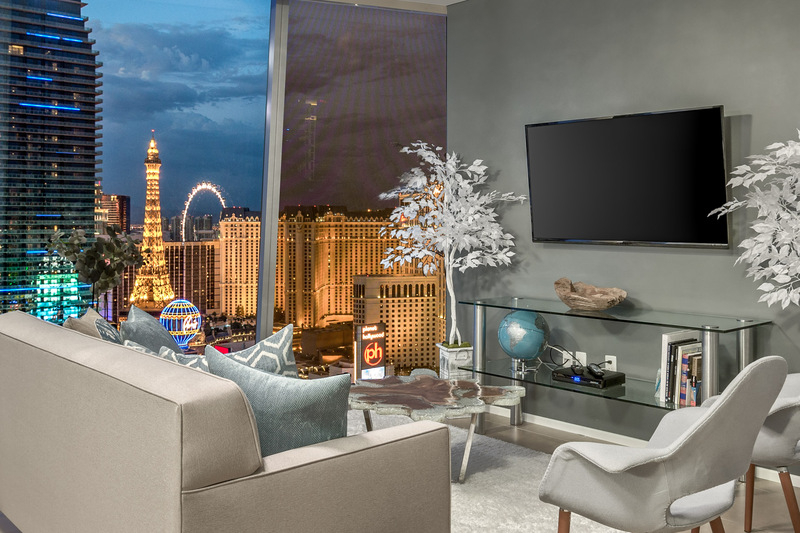 Whether you're looking for a stimulating evening on the strip or perhaps you want to experience the finest epicurean delights, this private sanctuary allows you to jump in and out of the mix as you desire. 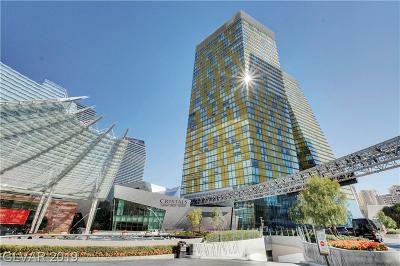 Veer Towers is located in a newly created zipcode, Las Vegas 89158. Veer East is 3722 Las Vegas Blvd. So., Veer West is 3726 Las Vegas Blvd. So. The Rooftop Amenity Deck is located on floor # 37. 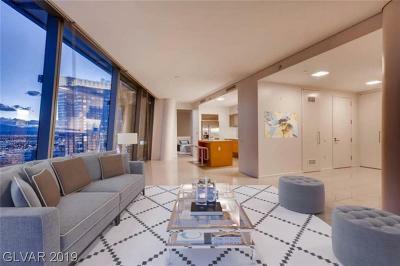 New York City has the AOL Time Warner Center Condos. 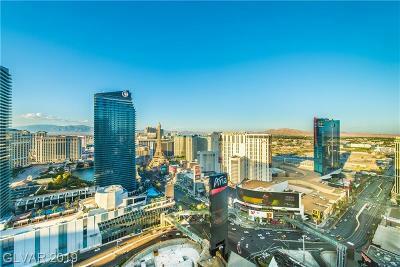 Vegas has Veer Towers condos at a fraction of the cost. 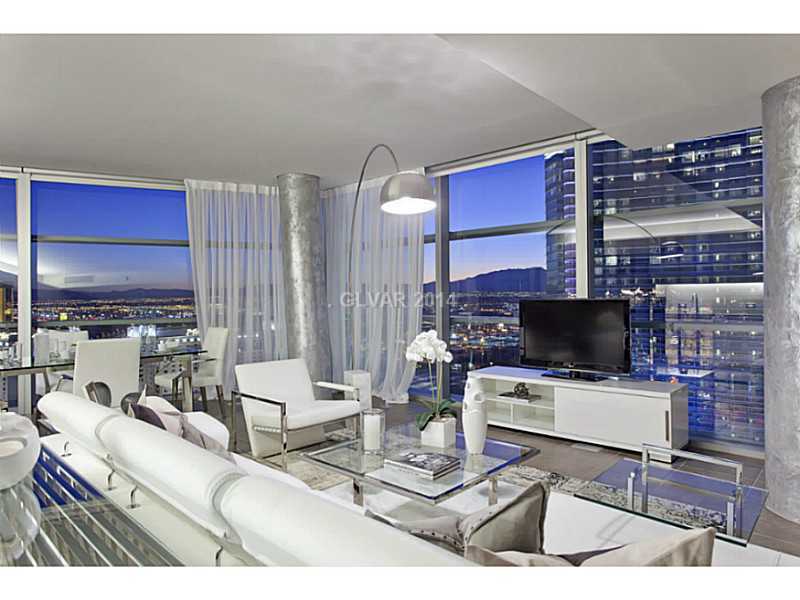 Buying a VEER TOWERS CONDO in 2019 may prove to be one of Las Vegas' Best Bets! 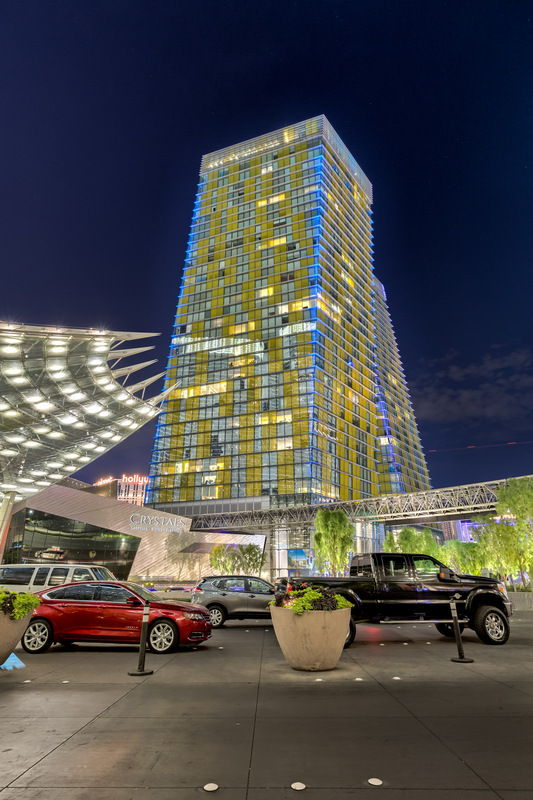 As a 47 Year Las Vegas Resident, having seen the city evolve over the past 4 decades, I truly believe that VEER TOWERS condos are trophy properties that would be a viable addition to a real estate portfolio.